“When I read what was clearly absurdities, in this complaint, I said to myself, ‘How sad that you’ve got this woman who is making these complaints when there are real victims out there,'” Pirro told TheWrap. 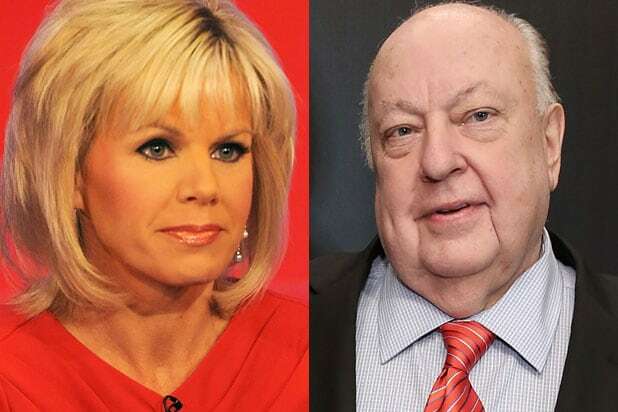 Also Read: Was Roger Ailes Right About Gretchen Carlson's 'Disappointing' Ratings? The suit, filed on Wednesday in Bergen County, New Jersey, claims the “Real Story” host refused Ailes’ sexual advances and “as a direct and proximate result” her relationship with Fox News was severed last month. “Honestly, this is a decent man and I have spent my career fighting for women. I have no bones about criticizing someone when they deserve to be criticized. But this is ridiculous,” Pirro said. Carlson’s representatives did not respond to a request for comment Thursday. Pirro first met Ailes 30 years ago when she was an assistant district attorney in New York and has worked for him for almost a decade. She said that she “wanted to get involved” when she heard about Carlson’s lawsuit because she “felt very strongly” that Ailes isn’t capable of the kind of abuse Carlson says he subjected her to. “I know the man. I have been in a room with him. I’ve been alone with him. He has never said or done anything [inappropriate]. He is brilliant, witty, funny and a genius,” Pirro said. “Justice with Judge Jeanine” said that Carlson never filed a complaint to human resources. Pirro said she doesn’t think someone who has achieved the success that Ailes has would throw it all away with reckless behavior. Here's what we know so far about former "Fox and Friends" host Gretchen Carlson's lawsuit against Fox News CEO Roger Ailes. Carlson filed the lawsuit on July 6, two weeks after Carlson was fired by Fox News. Her show, "The Real Story," was averaging 1.2 million viewers at the time of her termination. The lawsuit claims that Carlson was subjected to a hostile work environment by her "Fox and Friends" co-host Steve Doocy, whom she claims made sexist comments toward her. She alleges that Ailes ignored her complaints and called her a "man hater." The lawsuit also claims that Ailes told Carlson that they "should have had a sexual relationship a long time ago" and attempted to sabotage her career by removing her from "Fox and Friends," slashing her pay, and blocking her from resources and opportunities afforded to other Fox News reporters. After news of Carlson's lawsuit broke, a supercut of "Fox and Friends" clips depicting Carlson being objectified went viral. The montage from Bloomberg Politics included co-hosts calling her a "skirt" and asking her if she got experience from a previous "broad-casting" gig. Ailes called the lawsuit "false" and "offensive," claiming that Carlson was attempting to strike back at Fox News for not renewing her contract last month due to low ratings. Carlson's lawyers struck back, saying that Carlson's afternoon show was the highest-rated news show in its time slot. Ailes also noted that Carlson praised him in the book she published last year, "Getting Real." "Over the years I’ve come to value our time together," Carlson wrote. "He encourages me to be myself, to relax and to not try so hard to look smart." Fox News' parent company announced in a statement that it was launching an internal investigation into Carlson's claims: "While we have full confidence in Mr. Ailes and Mr. Doocy, who have served the company brilliantly for over two decades, we have commenced an internal review of the matter." On July 21, Ailes announced his immediate resignation from Fox News, with Rupert Murdoch taking over his position. As part of a settlement agreement, Ailes received $40 million from Fox upon his departure. On Sept. 2, New York Magazine reporter Gabe Sherman released an expose detailing Ailes' history of abuse towards women during his tenure at Fox News. In response, Ailes has hired Charles Harder, the lawyer that represented Hulk Hogan in his lawsuit against Gawker, and sent a complaint to New York Magazine. Was Roger Ailes Right About Gretchen Carlson’s ‘Disappointing’ Ratings?